Australian tourists are everywhere around the world. Although their nation is surrounded by the Indian and Pacific oceans that cannot stop the enthusiastic and fun-loving Australians who want to explore all the nook and corners of the world. Every year, many Australian tourists visit Europe and the spend some quality moments. Europe is a huge continent and there are too many things to look and visit! Hence, if you haven’t done your research before setting foot on the continent, you might end up questioning yourself where to go and where not to. Therefore, to make the things a little easier, here are the 7 best tips to visit Europe if you are from Australia. 1. 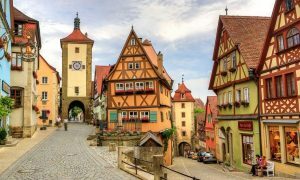 Visit during early spring or the beginning of the fall- Europe is a crowd puller and during the traveling seasons, it is often hectic to go somewhere without getting a lot of other companion tourists. You will find long lines and may need to wait for an hour or two to get a glimpse of the gorgeous Mona Lisa or other tourist attraction sites. 2. Avoid Restaurants or cafes- Europe’s restaurants are not cheap. And you don’t want to spend unnecessary money on restaurant foods every day. Instead, keep it simple. Buy some bread, chips, and beers and find the street foods that are cheap and delicious at the same time. 3. Don’t go cashless- The ATM’s of Europe is known as â€œBankomatâ€. Find one and make sure to fill your purse with some notes. Europe still prefers cash more than credit or debit payments. In many bars, restaurants, shops or public transportation cash is the most preferred mean of payment. Although avoid carrying large amounts in your purse. 4. Pre-plan the things to do and places to visit- Make your schedule of where do you want to visit and what are the things you would like to do before starting your journey. It is always wiser to know what to do than being confused where to go and what to find. Europe has some of the biggest nations filled with some extraordinary monarchies and landmarks. Visit Paris, Italy, Germany, Prague and all the beautiful places filled with different cultures and colors. 5. Arrive in London- Although you can start your journey from anywhere you like, arriving in London first is always the best option. Being the industrial hub of Europe, London will teach you everything you need to start your Europe tour, as you can find people from all over Europe (and the world). Also, you can easily travel to your next destination from London without any hassle. 6. Closed in the afternoon!- Please ensure that you know the time of opening and closing time of ticket counters or places where you want to visit. Especially during the lunchtime(12 to 2 PM). Or else you need to just stay there until the reopening time.Decide yourself! 7. Claim your VAT Tax refund- In case you have made some large purchases make sure you take the receipt and ask for a Vat tax refund form from the cashier or store manager. You can get 20-25% cash back on purchases up to 175 euros in France, Germany, UK and a few other nations. Search for more information regarding VAT Tax refund to enjoy some free money! Visiting Europe is surely one of the liveliest experience anyone can have in their life. And as Australians are always lively, Europe is the perfect location to share some common attitudes. Well, if you follow our tips.